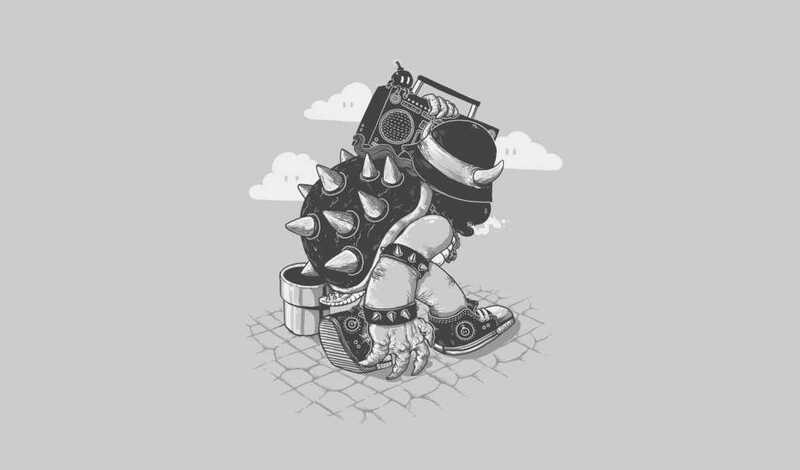 This throwback illustration by Alex Solis (who we’ve looked at before) features the true original b-boy and King Koopa, Bowser, doing his dance with Bomb-ob. I love absolutely everything about this illustration as it makes the nerd and art junkie in me equally happy. I’m disappointed I never caught it during it’s run at Shirt.Woot, but luckily I can grab a print of it from Society6! Matter of fact, I’m going to go do that now before it sells out. What do you think of Alex’s Original B-Boy illustration?